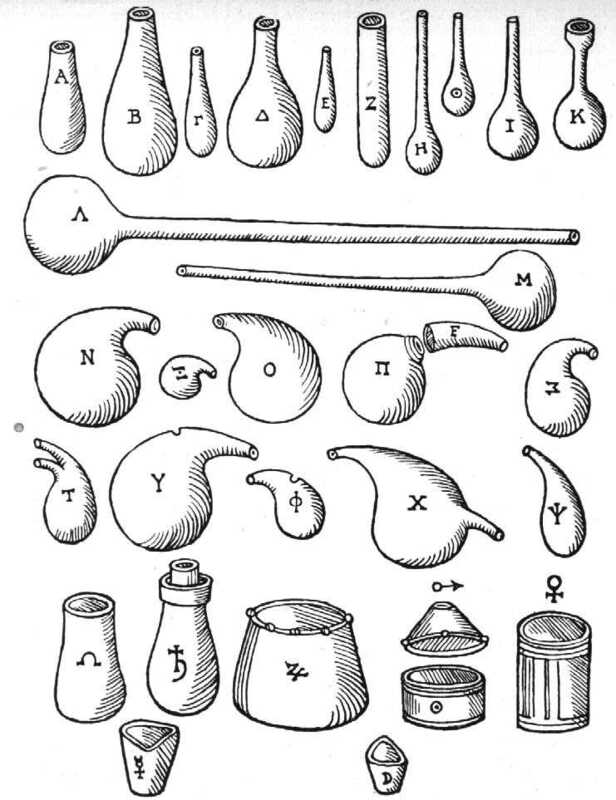 Chemical utensils from Andreas Libavius, Alchymia..., 1606. Phial with fitting for alembic. Retorts with tubus or second opening. Matula (testtube). Iron pots for strong acids.